Technical fouls: Columbus Grove-None. 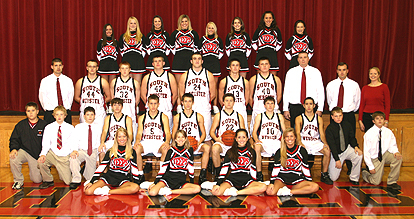 South Webster-None. Points in the paint-GROVE 20,WEBSTER 56. Points off turnovers-GROVE 14,WEBSTER 24. 2nd chance points-GROVE 9,WEBSTER 4. Fast break points-GROVE 6,WEBSTER 24. Bench points-GROVE 17,WEBSTER 11. Score tied-3 times. Lead changed-1 time. Last FG-GROVE 4th-00:14, WEBSTER 4th-00:35. Largest lead-GROVE by 2 1st-06:38, WEBSTER by 26 3rd-04:32. Points in the paint-GROVE 4,WEBSTER 20. Points off turnovers-GROVE 0,WEBSTER 14. 2nd chance points-GROVE 2,WEBSTER 4. Fast break points-GROVE 0,WEBSTER 10. Bench points-GROVE 0,WEBSTER 7. Score tied-3 times. Lead changed-1 time. Technical fouls: South Webster-None. Lockland-None. Points in the paint-WEBSTER 30,LOCKLAND 32. Points off turnovers-WEBSTER 14,LOCKLAND 10. 2nd chance points-WEBSTER 12,LOCKLAND 14. Fast break points-WEBSTER 4,LOCKLAND 6. Bench points-WEBSTER 4,LOCKLAND 0. Score tied-7 times. Lead changed-8 times. Last FG-WEBSTER 4th-00:24, LOCKLAND 4th-00:18. Largest lead-WEBSTER by 6 1st-03:35, LOCKLAND by 6 3rd-07:09. Points in the paint-WEBSTER 10,LOCKLAND 8. Points off turnovers-WEBSTER 7,LOCKLAND 0. 2nd chance points-WEBSTER 2,LOCKLAND 5. Fast break points-WEBSTER 4,LOCKLAND 0. Bench points-WEBSTER 0,LOCKLAND 0. Score tied-2 times. Lead changed-4 times. Technical fouls: Columbus Grove-None. Windham-None. Points in the paint-GROVE 22,WINDHAM 20. Points off turnovers-GROVE 10,WINDHAM 17. 2nd chance points-GROVE 14,WINDHAM 6. Fast break points-GROVE 6,WINDHAM 10. Bench points-GROVE 4,WINDHAM 0. Score tied-0 times. Lead changed-0 times. Last FG-GROVE 4th-05:04, WINDHAM 4th-02:09. Largest lead-GROVE by 15 2nd-07:34, WINDHAM None. Points in the paint-GROVE 8,WINDHAM 6. Points off turnovers-GROVE 2,WINDHAM 4. 2nd chance points-GROVE 4,WINDHAM 0. Fast break points-GROVE 0,WINDHAM 4. Bench points-GROVE 2,WINDHAM 0. Score tied-0 times. Lead changed-0 times.